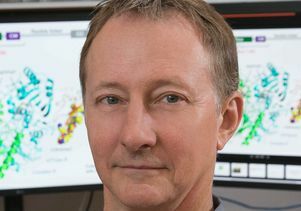 Jacobsen, who is a professor of molecular, cell and developmental biology, specializes in plant epigenetics — the study of how a gene’s function can change without changes to the DNA sequence — and his research could lead to more resilient crops. “Epigenetic science has many applications, with one of the most promising areas being agriculture,” said Jacobsen, an investigator of the Howard Hughes Medical Institute. Jacobsen is also scientific co-founder of the company Inari, which has licensed plant breeding patents he developed at UCLA. Inari is a plant-breeding company that equips crops to be more resilient to climate change, and is enhancing plant breeding by tapping natural genetic diversity. Decades of intensive breeding for desirable characteristics, such as higher yield or resistance to specific diseases, has increased our food supply, but has also led to genetic uniformity in many crops. In some cases, this means the loss of natural resistance to disease compared with their more genetically diverse wild relatives. This loss could leave our food supply vulnerable to future stressors, including those induced by climate change, at a time when the global population is projected to see considerable growth. Inari is working to discover and re-introduce these genes, so crops can exhibit natural resilience while meeting the nutritional demands of a growing worldwide population. The company has introduced the world’s first seed foundry as part of its mission to revolutionize the seed industry. The agreement provides Inari with new ways to improve plant performance by tapping natural genetic diversity, and provides access to technology that influences a plant’s genes without altering its genetic code. Inari is currently developing its first wave of commercial crop varieties, including corn, soy and wheat. Jacobsen’s epigenetics research, which was funded in part by the Bill & Melinda Gates Foundation, was published online Feb. 7 in the journal Cell, and published today in the journal Nature Communications. These research papers from Jacobsen’s laboratory, along with earlier research from his laboratory, describe the inner workings of epigenetic pathways in plants, and describe tools that allow for “precise changes in gene expression through modulation of epigenetics,” Jacobsen said. The Nature Communications paper describes the development of a system based on CRISPR — a powerful tool for editing DNA sequences at specific locations and modifying the functions of genes — to target methylation and gene silencing in a much more precise way than ever before and describes a system for targeting the activation of genes using a CRISPR system. A paper by Jacobsen’s laboratory published in in the journal PNAS in 2018 describes another scientific tool, also based on a CRISPR system, to target the precise removal of DNA methylation at a gene, which causes the gene to be activated.